More the 300 Eltham locals displayed their creative talents for Eltham Arts’ latest competition – ‘A postcard from Eltham’, and winners were announced at a celebratory event on 23 April. Local community group Eltham Arts was delighted with the number and standard of entries for its latest ‘A Postcard from Eltham’ competition, which challenged locals to design a postcard showing the town as an attractive and creative place to live, work or visit. Himani Weir – Where shall we go today? The postcards will very soon be exhibited and on sale locally to showcase the local talent and creativity. Eltham Arts has so far run a series of initiatives to celebrate the creativity in Eltham, including short story contest ‘Tales of Eltham’ and ‘Eltham in Verse’, which challenged locals to write poetry. Visit www.elthamarts.org and follow us on Twitter and Facebook for details on these initiatives and more. This short story was one of our award winners in our Tales of Eltham competition. The author said it was inspired by the Eltham War Memorial, St John’s Church , Eltham High Street. It is a moving story. When he and his brothers finished at Roper Street school, he felt such pride when he was taken on as an under gardener at Eltham Palace. Bill was working in the post office in Passey Place and Eddy worked in the bank at the cross roads. On a Friday they would meet up for a pint or two at the Greyhound pub. One night it was so crowded they went round the corner to The Rising Sun and there she was, fate had put the love of his life in front of him, all blond hair and blue eyes. They got talking and to his surprise she agreed to met him the next afternoon. The Tarn could not have looked better, sun lush greens and flowers. Their feelings for each other blossomed too, they married at St. Johns Church and a year later the twins were born. They lived very contently in a two up two down in Sun Yard. Money was short, but his wife and children gave him a life full of love. Now he lay here in the mud soaking wet cold and yes angry. The anger welled up in him, the destruction and carnage they were causing must be stopped. It was for the love of what he had left behind, for little families like his that he was prepared to do this terrible thing. The whistle sounded then the movement of men going over the top like a great unstoppable wave. At that moment he knew that what ever his fate, in one part of London what he had planted would continue to grow and even in a hundred years time people would remember and be proud of the sacrifice they were making . 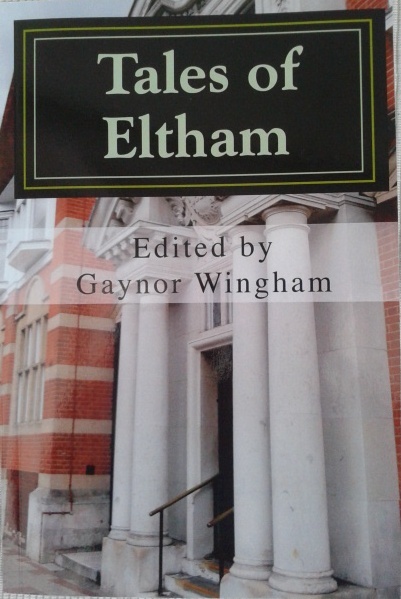 Our Tales of Eltham book is launched! With a hundred people attending the book launch at Eltham library on Saturday it was standing room only ! What great support for our community short story book Tales of Eltham, with over 90 short stories on subjects as diverse as love, loss, pantomime horses, ghosts and funerals for goldfish . Such a range of stories based on the theme of ‘An Eltham Experience’ has created a lovely book written by children and adults who live in the area or know Eltham well. With many authors being prepared to read their stories at the launch we were moved by some stories and laughed at others. 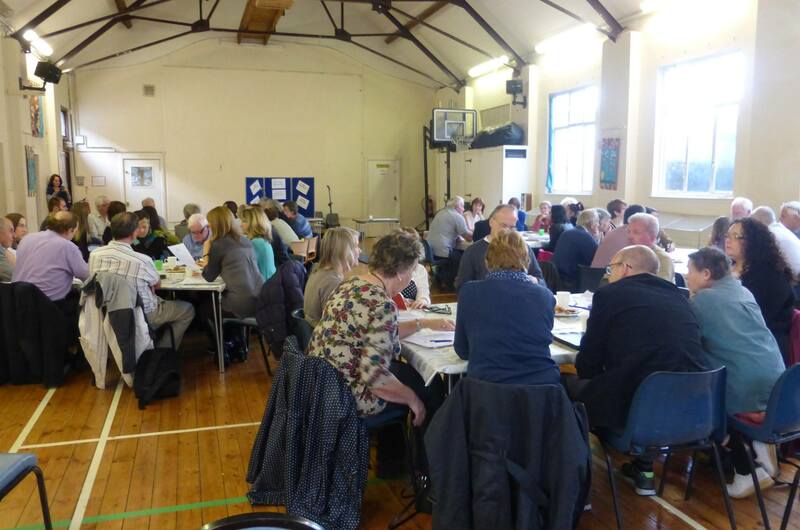 What a great creative community we have in Eltham! We have been getting lots of great emails about the conference! Great meeting with Eltham Arts today. Very encouraging. A productive afternoon at the @ElthamArts conference. Looking forward to collaborating and contributing to Eltham as a creative hub. Hello and welcome to Eltham Arts’ website!